What happens if I put rocket fuel in my gas tank? If your car is a diesel, it will run. 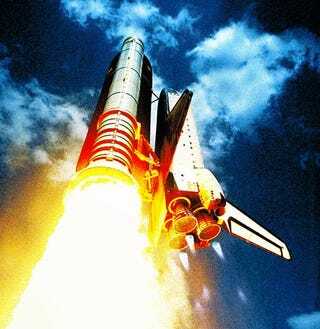 Liquid hydrogen, the fuel that powered the space shuttle's main engines, could work, says Manuel Martinez-Sanchez, an aeronautics and astronautics professor at the Massachusetts Institute of Technology. But keeping hydrogen liquid requires maintaining it at a temperature below about –432°F. Storing it in a garage would be tricky, as would keeping it from freezing the engine. This post originally appeared on Popular Science.